Friends Of Basketball The Camberwell Grammar School’s Friends of Basketball is a parent body established to support various aspects of the school’s Basketball program. 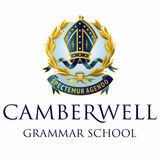 Camberwell Grammar School has over 250 boys across Years 7 to 12 participating in School Basketball as a summer sport in the AGSV sporting league. Squads are made up of 10 players each and we have a First V and 4 Teams each from Year 7 to 12. Friends of Basketball organises fundraising and social events throughout the Basketball season to support and celebrate our players, coaches and their families. We encourage all families to be part of Friends of Basketball, either on the Committee or by attending social events organised. Please contact the Development Office if you wish to join this Year’s Committee.